Ed. note: This story was transcribed from a story in the July 19, 1979, Concrete Herald, an upriver newspaper that is no longer in print, but was once the voice of the upper river when Charles Dwelley was the editor. 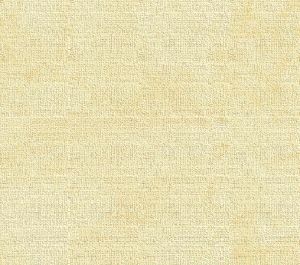 The story has only been lightly edited in some cases for correction of spelling or to provide continuity. Otto was the father of state senator Lowell Peterson and Merv Peterson. The family earlier opened a service station in Concrete in 1946 and son Merv opened his Marblemount service station in 1950. Otto Peterson, 80, of Marblemount, came here planning to stay six months, "make a fast buck" and go back to Bellingham. That was 57 years ago . "Before I could resell, Mrs. Peterson fell in love with the town." She discovered the fishing was wonderful here and I liked to hunt the deer which were plentiful," he said. "So we stayed." When Peterson was four his parents brought him to Bellingham from Minnesota. Later he sold automobiles and real estate. A Marblemount merchant anxious to sell out came into the real estate office where he worked in 1922. [Ed. note: could this have been Paul von Pressentin?] So Peterson promptly traded him his Bellingham home for his present one plus a general store, which he operated until the late 1930s. There was a dance hall upstairs and Mrs. Peterson, who loved to dance, managed that. She hired [Shrewsbury's] Orchestra from Sedro-Woolley. City Light ran "Toonervilles," 25-passenger open-air gasoline vehicles, from Newhalem to Marblemount for their workers. Peterson used to pick up his customers at the town railroad crossing. If you go looking for Otto Peterson, you'll probably find him sitting on a stool in the corner of Merv's (his youngest son's) service station on Highway 20, or in a small trailer just behind it. He lives a few hundred feet behind Merv's station in a bright, spotless turn-of-the-century house, next door to the historic Log House Inn. The attached rose-covered carport is empty now. His Cadillac is in Concrete to be sold because of his failing eyesight. The moonshine business He smiles gently now and his blue eyes crinkle at the corners as he reminisces about the old days in the Twenties and Thirties when moonshining flourished in the Upper Skagit. Peterson declined to use names. "I'm censoring this," he said, "because I don't want to make trouble for anybody. Some of their [descendants] still live around here." Although he was not a moonshiner, he was willing to discuss their operations, which, he says, were common knowledge. As proprietor of the town's only store, he sold operators "tons of sugar, corn meal, rye meal and charred oak barrels" for aging the liquor. "It wasn't illegal to sell them supplies," he says. He also sold general merchandise, such as caulk boots, for the loggers, [plus] yard-goods, hardware and feed. The making, drinking and marketing of corn whiskey was deeply enmeshed in the rural and pioneer Southern way of life. When Tarheels, primarily loggers from North Carolina, came to the Upper Skagit in the early 1900s, they brought this tradition with them. But times were hard in the upper Skagit and when there was too much snow, loggers were laid off. "They had a big bunch of kids and couldn't make a living off their small acreage," Peterson says. So for extra cash, they "made up a batch" of moonshine. Peterson says the moonshiners were "good people, as good as any church member. They were my customers, but everybody gets into trouble occasionally," he said. "If they were in jail, I'd bail 'em out." He says the deputy sheriffs were "reasonable people." They knew their neighbors, the backwoods people, "had to make a living." Is it carried on today? Peterson says he doubts it. "With the high cost of material today, they couldn't make a living at it." "When the liquor came out of the still, it was clear as spring water," Peterson recalls. Then it was aged in charred oak barrels for months, which gave it the usual color. "It would have been deceitful of the moonshiners to color it," he notes. One time when a bootlegger came to town to buy, the moonshiner had no reserve stock, but he was making a batch that day. Peterson watched him whittle some bark from an alder tree, run the clear whiskey through a funnel with alder chips in it, and "it looked just like it had been aged a year," he said. A profitable business of "short pints" What his [father didn't explain], Otto's son Lowell adds, is that [Otto] had gone across the river in a canoe to get it, before the present Marblemount bridge was built. Since the moonshine had just come out of the still, it was warm. So Otto towed it [across the river behind his canoe] to cool it. 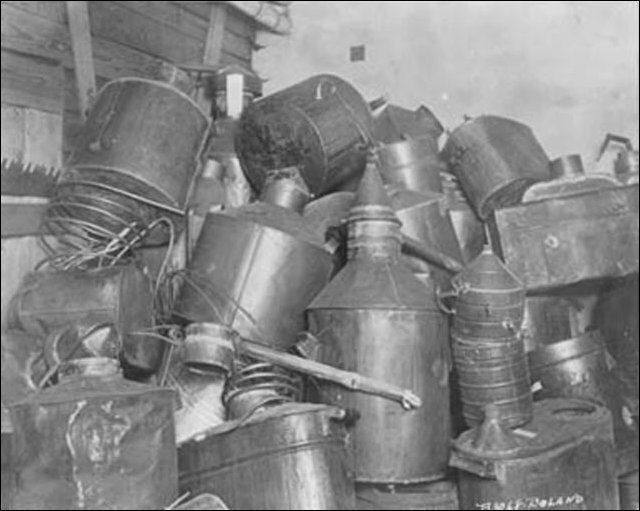 The waiting bootlegger declared "it was the best moonshine he had ever tasted," Lowell said. Peterson said bootleggers paid $12 a gallon, divided it into twelve "short pints," instead of eight 16-ounce pints, and resold it for $2 per short pint, a 100-percent profit. The distribution system was simple and efficient: the moonshiners would bring it to a "cache," a hiding place near town, possibly behind a blackberry bush. The bootlegger would pay the middleman and then be directed to where the liquor was stashed. Of course, no state or federal taxes were paid. The basic operation of a still was in two parts. The sugar, corn meal, water and other ingredients were mixed into a "mash" and allowed to ferment. Then the mash was heated to an appropriate temperature in a still and the water driven off. The diverted alcoholic vapor was cooled, condensed and became whiskey. Private stocks were usually kept in fruit jars, so they could be quickly dumped in case "the revenooers" raided homes, which was sporadic. Lowell, 57, says: "I recall vividly when I was about five or six. My parents were out and they left us with a babysitter. My brother, Merv, was an infant in a baby buggy. There was a pint of moonshine in the house when the revenooers came. The baby sitter quickly hid it under my brother," he said. "They found nothing else." In January 1920 the Eighteenth Amendment (Prohibition) became effective, and Congress passed the Volstead Act, which made it illegal to sell liquor with more than .05 percent of alcohol by volume. This diminished, but did not completely stop moonshining, he said. In the late 1930s, Peterson sold his stock and leased his store. Then he bought and sold land and timber. "I've owned more tracts of land around here than any ten people I know of," he said. "I'm a horse trader and have been all my life. People thought I was a crazy old Norwegian. I'd buy anything at my price. During the 1930s there was no school bus to Concrete High School. When the Marblemount children graduated from the eighth grade, their parents wanted to sell their property quickly for cash to find work in a town with [another] high school. "I accommodated them," Peterson says, but at his price. "Later, in the Forties and Fifties, traders would bring pack and saddle horses through the mountain passes from Eastern Washington. They were kept in the Barratts' pasture just across the river from town. They'd sell all but six or eight and I bought the remainder for ten cents on the dollar — $50 horses for five or six dollars each — because it din't pay to take them back," he said. "I did them a favor. The seller was happy and I was happy." What did he think about the proposed City Light dam at Copper Creek? "I'm not against it. City Light has brought jobs to this area and this project will, too," he said. "It isn't going to hurt the river to have another powerhouse on it." Moonies? [The Unification church or Moonies were then applying for a permit to build a summer Bible-study camp west of Marblemount along the Skagit river.] "If I had a vote whether or not to let them in, I'd vote no," he said. "We have enough churches and organizations here now." Pride in his family What is the proudest accomplishment in his life? "My two sons," he promptly answers. "They are fine men. The three of us are very close and I'm proud of that." "He was the small loan bureau of the Upper Skagit. He got a lot of satisfaction out of helping people," [Lowell] said. Does moonshining still go on? Maybe. [Lowell] doesn't know. But back in the 1960s before he got into politics "there was always someone who knew where to get a gallon of moonshine for me." But since then, his sources have "dried up." Regretfully, he said, "I haven't had any moonshine in 15 years." The senator was advised of his father's reluctance to discuss the Moonshine era in greater detail because it might embarrass him politically. His son laughed heartily, "I'm proud of the old boy," he said. How does Otto feel today? "I've made good money. My wife and I lived it up. We had a winter home in Arizona," he said, "I'm not wealthy, but I have no regrets." Would he like to live to be 100? "I'll give you 50-1 odds that I don't," he replied. But I want to live as long as I can, and when I go people will say, "He had a good life." Ed. note: Otto Peterson died in 1986 at age 89 and is buried in Concrete. His son Lowell died in 1989 at age 67. See the Journal Introduction to Prohibition in Skagit County. 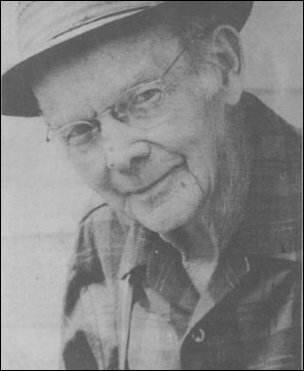 Charles Dwelley, longtime-editor of the Concrete Herald and his impact on the town, industry, newspaper and his book. A profile of Andrew Jackson Jackman, the pioneer who homesteaded at the creek named for him, two decades before Van Horn was born. And his wife, Mary Ann Harry Jackman, whose extended Upper Skagit Indian family includes many more pioneers, including the Bacons, Leggetts and Napoleons, among others. and the birth of the Log Cabin Inn in Marblemount. See Upriver Section for Skagit history from Utopia to the Cascades.